Omni Dental / About Us / News / Celebrate With Your Top Dentist! The results are in! 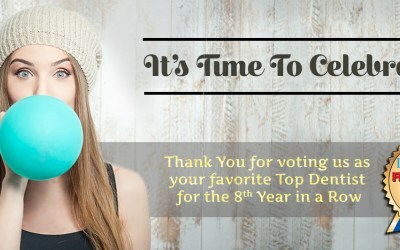 We are incredibly happy to announce that for the 8th year in a row we have been named Top Dentist in the Reader’s Choice Awards 2016. 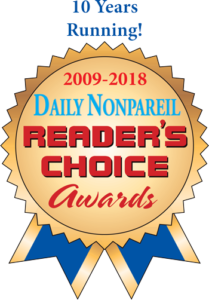 We would like to thank our amazing patients and The Daily Nonpareil readers for all their support! Without you, we wouldn’t be where we are today. With over 40 years of oral health expertise, the Omni Dental team is proud to be able to provide you and your family with the premium dental care that you deserve. We continuously invest in our training and technology to make sure that we are on the top end of everything. We want to maintain our status as your favorite Iowa dentists for years to come. Keep on flashing those dazzling smiles, Iowa! If you have any questions about your family’s dental care, contact us.